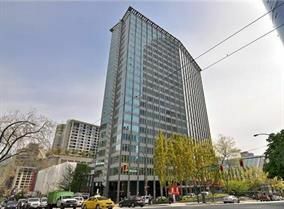 Two bedroom and bath at The Electra, centrally located in the heart of Downtown Vancouver. This bright and spacious unit features a functional floor plan with 9 food ceilings and view of English Bay! Good size locker ann shared laundry on the same floor.